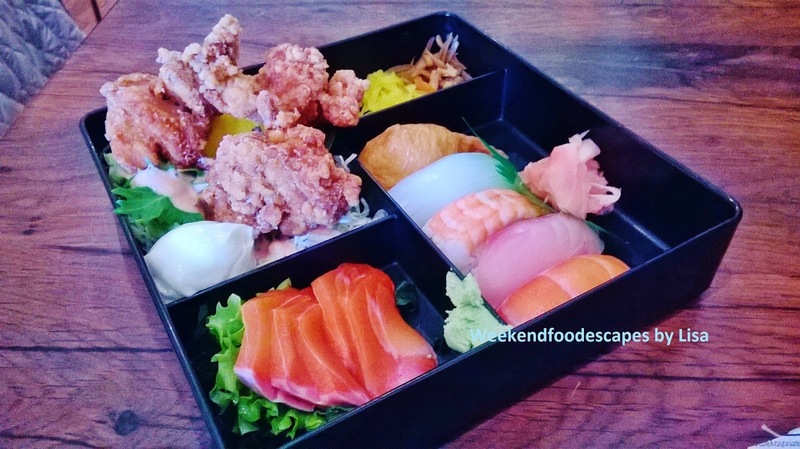 For a supersized Bento deal, I went to Sakae Japanese Dining in Eastwood. I was so very hungry and decided to treat myself. Boy am I glad I came here to fulfill my hunger for lunch! 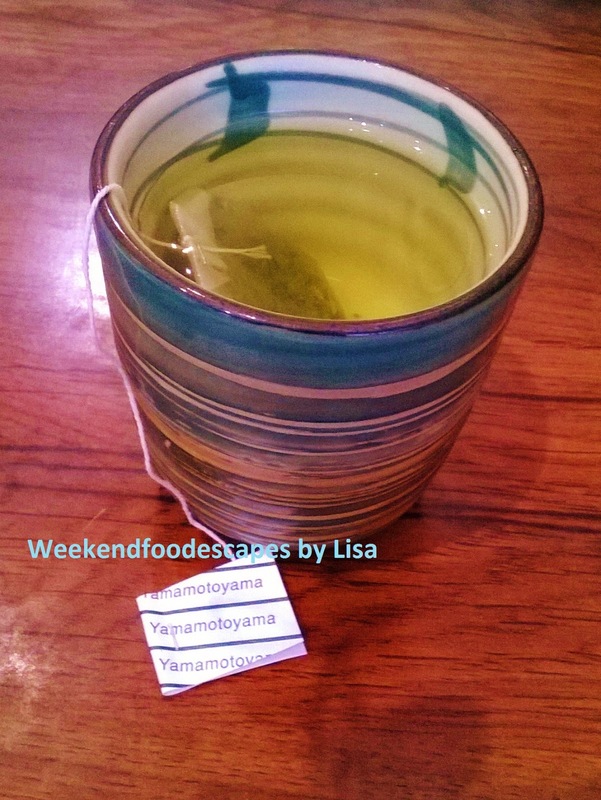 I had the classic roasty rice flavours mixed in with refreshing green tea. Green tea is a must for any Japanese meal. For $16.80, I had a large bento box full of karaage chicken, sushi (my choice of main), sashimi, salad, pickles and a spring roll. The fried chicken was beautiful with the mayo. The sushi and sashimi were good and provided a cold texture to the chicken. To complete the meal, the mini udon completely satisfied my hunger. 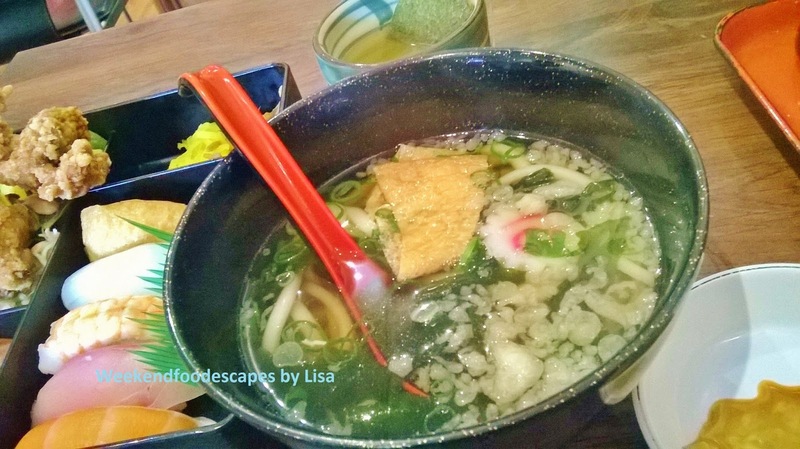 The classic pieces of tofu, tempura and spring onion accompanied the udon noodle soup. Located in the main strip of Eastwood, Sakae competes with tasty neighbours in Yum Cha, Vietnamese and coffee lovers. I haven't been here for over a year but I very much enjoyed my most recent experience. A nice Japanese restaurant for lunch - particularly the bento boxes!